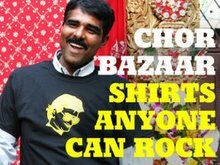 We don't really blog about t-shirts on Chor Bazaar Workshop even though we are a t-shirt label. We venture outside of our shop to keep us sane. Imagine working at a silk screen press all day and having conversations about the viscosity of the ink all day. Nobody wants to hear that. Cotton thread count is also kind of boring. I do however blog about t-shirts. Thanks to Andy on his site, Hide Your Arms. 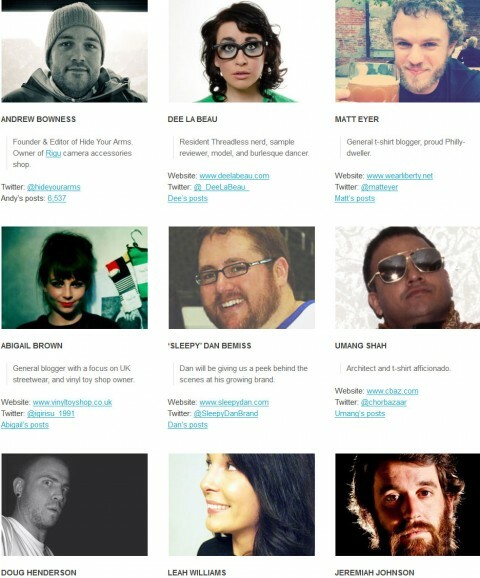 The site is frequently updated with an abundance of indie/designed t-shirt and t-shirt content. If you are interested in having a t-shirts reviewed then feel free to him me up at info(at)cbaz(dot) com.